Many today have a “new” word or revelation from God as if God speaks directly to them. It seems to be especially prevalent among women preachers/teachers/authors and many Christian woman as if His Word isn’t enough for them apparently. Women, who are more easily deceived, seem to be very prone to this. They want to “feel” close to Jesus and be able to communicate with Him by hearing His voice. Everything we need for life and godliness are in His Word. The gift of prophecy is clearly spelled out in His Word: “But he that prophesieth speaketh unto men to edification, and exhortation, and comfort” (1 Corinthians 14:3). Men and women can have this gift. Here is a great explanation of a person who has the gift of prophecy from the Institute of Basic Life Principles web site. If you have the gift of prophecy, this is a great source to study and know clearly your strengths and weaknesses so you can work on your strengths and rid yourself of your weaknesses. My favorite preachers are those who are gifted with prophecy since I love to clearly know right from wrong, good from evil. A prophet’s basic motivational drive is to apply the Word of God to a situation so that sin is exposed and relationships are restored. Prophets might be considered the “trumpets” of the Body of Christ who sound the alarm in the face of sin and compromise. A prophet calls attention to sin and wrong attitudes. The prophet is passionate about exposing sin, but not primarily so that sinners can be punished. Rather, he is passionate about exposing sin so that truth can be revealed and fellowship with God can be restored. A prophet has a God-given ability to sense when compromises are being made, and his nature demands that action be taken—something must be done. This action may take the form of an overt protest or confrontation, or it may take the form of a conversation or correspondence. For a prophet, any solution that involves compromise is unacceptable. For the prophet, to observe or discern sin and say nothing is, of itself, sin. Naturally, knowing that a prophet has this perspective tends to make some of us feel intimidated or uncomfortable around them—even when we are guiltless! The prophet’s abhorrence of sin can easily be viewed as a judgmental spirit, and no one wants to be the object of that judgment. The prophet often displays the spiritual gift of discerning of spirits; he is able to discern true motives as the Holy Spirit gives him divine insights. As a general rule, the prophet is more interested in whether or not the heart is pure than whether or not the activity in question is acceptable. Prophets are usually outspoken, sometimes brash; they tell it like it is. A prophet is confident in his use of Scripture, because he regards Scripture as the only source of truth. A mature prophet easily discerns hypocrisy, because God has gifted him to discern Truth. He is usually more teachable than others, especially when discipline or correction is required. When a wise prophet is confronted with his sin, he sees it as God sees it and consequently is crushed (if he is walking in the Spirit and not in the flesh). The prophet accepts absolutes easily. The rest of us try to explain them away; prophets simply take God at His Word. He is not easily swayed by emotions. A prophet’s need to be “painfully truthful” may result in insensitivity or harshness. Prophets often have little sympathy and patience with people who do not respond objectively. A prophet’s sense of conviction may tempt him or her to become intolerant or prideful. Because of the prophet’s deep consciousness of sin, he sometimes seems to have a negative, “gloomy” approach to life. Would you or your loved ones consider you a prophet? You bet, aisha. She definitely has the gift of prophecy. As one who has spent 36 years with Lori, I am confident that she has the gift of prophecy in a personality and “forth telling” way, not a foretelling way. I have never heard her try to foretell anything in terms of what might come true, but she absolutely adores the Word of God and wants to be as godly as she can be, wanting others to know it and obey it too. 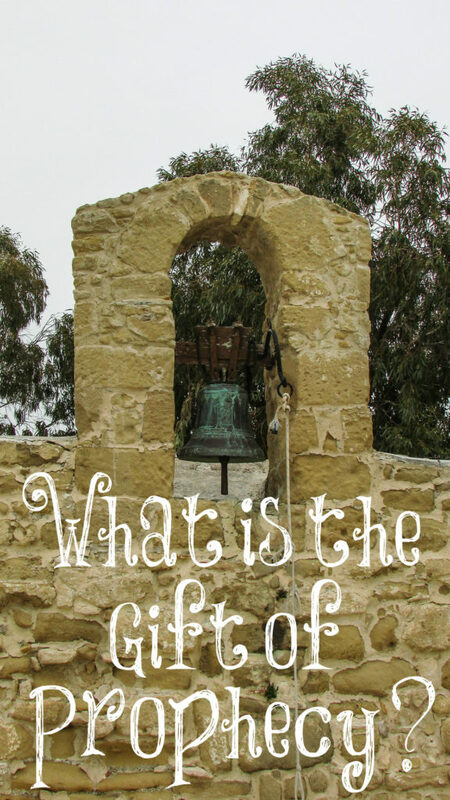 Those with prophetic gifting are not without their weaknesses, like any gifts or personality style… and these must be harnessed by putting on grace and understanding, which Lori has learned to do over the years. As much as she may “speak the truth in love,” she will be the first to rally around any sinner, love them and cheer them on in their walk with Jesus. She is all about condemning sin, but has no desire to condemn the sinner. Too often those who hear truth find themselves under condemnation and accuse the one speaking truth as being unloving or ungracious, when it is not the prophet condemning the person, but their own sin as it stands in the face of God’s Word. 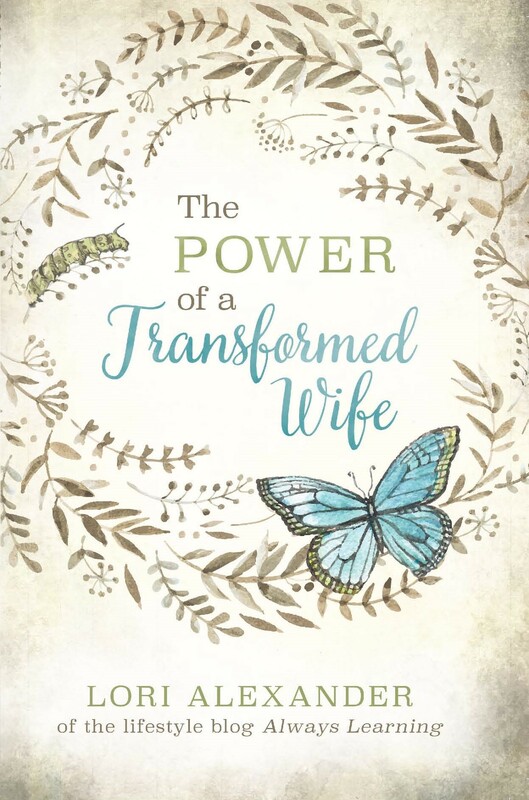 Lori tries to keep all things Christian and Biblical, and if she is faulted by others, it is that she wants to believe ALL of God’s Word in CONTEXT, even the things that are difficult to believe in today’s society. I don’t find that to be a bad thing in a culture where the church is watering down the Word in so many areas and picking and choosing what to believe. Thank you for this explanation! I love it. I have experienced this because I am a black and white person and this is so spelled out perfectly. I am not a hater like people jokingly call me:) Brings me great relief. Those who have the gift of prophesy are usually those who see everything in black and white as I tend to do, Becky. I love the Word and want to obey what the LORD has commanded for me to obey. I have been called out on the negatives of this gift and have learned to get rid of them as I grow wiser and more mature in the faith. Whereas those with the gift of prophecy can error on the side of legalism, those who lean more towards gray can error on the side of compromise. This is why we must measure everything according to the Word of God. We have a family friend who declares he is a prophet. I’ve never bought into the idea he is a prophet as there are so many warnings about false prophets in the Bible that the whole idea of declaring oneself closer to God than others makes me nervous. Anyways, 2 Corinthians 11:13-15 says “For such men are false apostles, deceitful workmen, disguising themselves as apostles of Christ. And no wonder, for even Satan disguises himself as an angel of light. So it is no surprise if his servants, also, disguise themselves as servants of righteousness. Their end will correspond to their deeds. ” Does this mean that if someone is found to be a false prophet, they will go to hell? And if he truly believes to be a prophet, is there anything I can do to dissuade him, especially since we are of opposite genders? If they are not teaching the Word of God, they do not have the gift of prophesy. Anyone claiming to be a prophet who doesn’t speak the Truth is a false teacher. A false teacher will indeed go to hell if they don’t repent and believe in Jesus as their Lord and Savior. I don’t think I would confront some man who proclaimed to be a prophet but was speaking untruths. I would hope another man would do this. Thank you for writing this & make making a distinction between the true gift of prophecy and what other call “prophecy” (really fortune-telling). You’re welcome, Melissa. The great prophets of old were able to foretell the future but this isn’t the same gift of prophecy that is during the Church age in which we live since we have His Living Word to tell us everything we need for life and godliness. You’re right, Roxy. Those who are more gray can easily fall into compromise and deception because they like to water down the Truth of God’s Word or talk about the “What ifs…?” instead of just believing God. This is a very timely article for me as I have been studying 1 Corinthians 11:1-16 and Paul’s instructions that a woman is to be covered when praying or prophesying. That is difficult to reconcile with his instructions in a later chapter,” Let your women keep silence in the churches: for it is not permitted unto them to speak; but they are commanded to be under obedience, as also saith the law.” (14:34). Any thoughts on that? Thats a geeat question. My opinion differs from Lori’s. After looking into it, i believe headcovering is for today. The video i will post a link to is from the headcovering movement.com. Most of my life i would of agreed with Lori. Until i looked into the passage myself. As for how it relates to the other passage, im not sure. But will look into it. I found a link that explains how to reconcile the two passages. I hope this helps. Please note i do not intend to use these links to start an argument. But for those who believe in a literal piece of cloth as a headcovering, I respect your conviction about it. I believe it is a very personal choice. I wouldnt dream of condemning someone who differed. Whats most important is that we go back to the word of God and seek out the answer for ourselves. I also wouldnt expect a woman to cover if her husband is dead against it. I have heard what michael pearl says about it and what john Macarthur says about it. And i respectfully disagree. But i still enjoy their teaching! I doubt there’s anyone that any of us believe 100% and this is why we must study and know the Word. Absolutely! Blessings to you and Ken. To me, this very much ties in with my command man husband. But he did say, ‘so what happens when someone ignores a prophets warning? ‘ i said you would probably have to look at both the positive and negative ways in which people responded to a prophets warning. If it is a warning correctly given from God’s word, then i guess theyare really disobeying God Himself, and thus there are grave consequences for that. ‘ but other than that, i couldnt think of another answer. But we both agreed it was a great post. If someone ignores a prophets warning and continues in their sin without ever repenting until they die, they will most likely suffer eternity in hell. Many today want to continue living in sin and no desire to truly obey the LORD. Thank you for clearing up the word “prophecy”.